I am searching for either a pre-1967 bus or double cab pickup. Anyone have experience with these vehicles that might be able to provide some guidance? My busses were '73 and '74. I favor the Type IV engine. Try "bus" on 2ndlight. I think his is an earlier one. Were the later buses still air cooled? Thanks, I know Troy a little. I forgot about him. All the Type II busses (the rounded bus shaped ones) were air cooled. The Type III, the squared off Vanagon types, were intitally air then water cooled. Maybe in the late 70's they changed over, I don't remember. (I was younger then and had other things to think about). Oops. Just checked at thesamba and they say the Type III is the Squareback wagon. My mistook. The Vanagon part above should still be right, just not the Type III. Stay away from dual carb. Whatever you get, stay with a single carb... on a 69 1600. 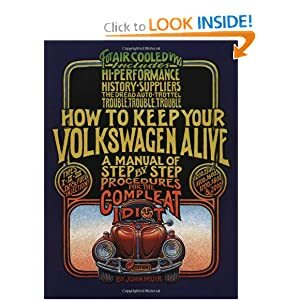 Thanks Tim, I forgot you have a lot of VW experience. Is the IRS an easy conversion to make if I buy one that doesn't have it? Yeah I figured dual carbs would be a nightmare to keep running in sync. I'm just looking for a driver, nothing fancy, just something to zip around in that I can take camping now and then. There's a guy in Melbourne selling a '65 camper but it's a bit too much of a project for what he wants for it...of course that's my opinion. I'd forgotten about the reduction gearing in the older ones. Dual carbs aren't that bad. I had dual Solex then Holleys. It was only single's on the age you said you were interested in anyway. If you find a nice bus and it's got duals, don't let that put you off. And,this thread deserves a HY-WTH. HY: I LOVE looking at theSamba!!! Oh, almost forgot. Joe the Gnome on 2ndlite is another one. Oh and the guy says he installed all the glass since the pic was taken. And he says the pic makes the rust look worse than it is...we'll see about that. Dan...will you be happy with a beater ? I have had a Nazi wagons of all shapes and sizes for 40 years...vw thing included. The basic is German steel hates the salty streets...this is the main problem. OEM pan coatings are so weak and worthless. Tar boards accelerate corrosion from the inside out. Look for this. Engine set up is the easy part...so many cars have the fresh engines but the body is full of issues. Find a solid body first and then consider the plant. After numurous restorations I have found this true for me. For me is when I go beater...I love the car then I spend way too much time on the body. The Goldilocks zone (for me)is a happy blend maintainable "Rat Rod" body and pan finishes over good steel and a mill that has ceramic coatings on hot sections, alloy sheet metal and painted ferris metals... no chrome allowed. IRS is not retro fit. Yeah that's my issue, all the east coast buses are toast as far as rust...I'm just looking for a driver but I want it to be solid. I have another one out in Vegas that my friend who lives out there is looking at for me. 100% rust free with a decent running gear. That VW steel is just revenge, pure and simple. Strongly concur with the suggestion of body first. My '73 was a rustbucket. $500. (rings, bearings, head job) and drove it. Found the '74, almost perfect body but had swallowed a valve. $1000. building a "perfect" engine from '74s block. Dang I miss that stuff. I forgot that you'll need this. It's still available for very good reasons. I got my copy from my Mom in about 1973. Dang. I can't resist one more. I have a deal in work...not sure if it will pan out yet but if it does I'll post up a pic.